Our Dezerter Churchwarden pipe is made with high quality pear wood that is dried for 2 full season cycles to harden as much as possible. 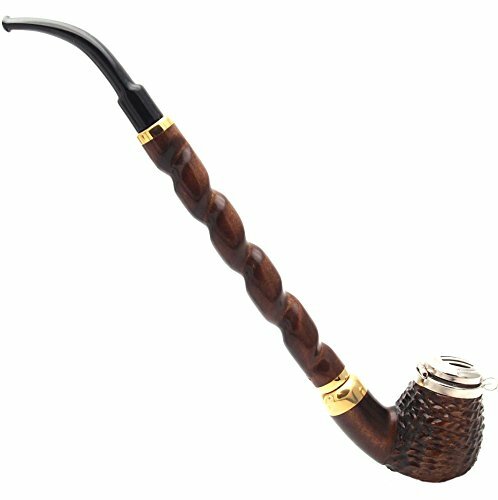 This pipe is made from the roots of pear trees, and is equivalent to the density of briar pipes. The number 13 Dezerter pipe is the classic pipe yet very unique, finished with natural coating and carnauba wax. This Pipe is 270cm in overall length - The inner bowl is 40cm deep and 17cm diameter - Outer bowl dimensions are 50cm tall and 30cm diameter.